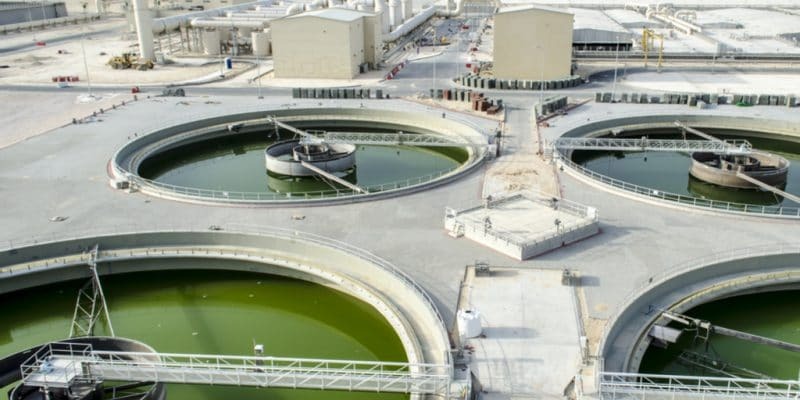 The Egyptian subsidiary Metito, an Emirati company, and the Egyptian company Orascom Construction, have won a $ 28 million contract for the construction of a wastewater treatment plant in New Alamein, a city under construction in northern Egypt. A new treatment plant is being developed in Egypt. It will be built in New Alamein, a city under construction, 240 km northwest of Cairo, the Egyptian capital. Metito Egypt, the subsidiary of Metito, a company headquartered in Dubai, UAE, specialising in water treatment, has just completed this project. It will execute this contract with Orascom Construction, an Egyptian giant present in 20 countries, with more than 53,000 employees. At a cost of $ 28 million, the site is expected to be delivered in 2021 to serve the 3 million people who will live in the new city. “Metito will use its engineering experience to develop advanced wastewater treatment networks and technology to recycle and reuse them for irrigation and land rehabilitation,” said Karim Madwar, Metito Africa’s Managing Director. According to our colleagues from the Daily New Egypt, the Egyptian government chose Metito and Orascom because of their experience in the field of water treatment and construction in Egypt. Metito has already done a good job in the land of the Pharaohs by building a major seawater desalination plant at AlGalalah, in the governorate of Suez, in the north-east of the country. Established on a plot of 60,000 m2, the plant produces 150,000 m3 of drinking water per day, from the water pumped in the Mediterranean Sea. It feeds over a million people and many businesses. Also in Egypt, the company, which employs more than 620 people worldwide, also executed a $ 28 million contract for the construction of the Arymon and Shabbily wastewater treatment plants. In addition, Metito has completed work to increase the production capacity of the Mohalla drinking water plant at El Mohalla El Kobra (in the central Nile Delta, Ed). Managed by El Gharbia Company for Water and Waste Water, a subsidiary of Holding Company for Water and Waste Water (HCWWW), a company specialising in water treatment, this plant supplies 70,000 m3 of water per day.